Spain is a country with gorgeous beaches, strong traditions and a culture that is embodied by its people. Whatever you are searching for, you will find your perfect holiday in this wonderful destination. Spain is a country full of passion, culture and history and with its warm sunny weather and stunning beaches it is an extremely popular holiday destination. Spain has always been one of the favourite holiday destinations, with so much to offer its visitors; from a fantastic city break in its exhilarating cities of Madrid, Barcelona, Bilbao, Seville and Valencia to a long relaxing beach holiday on one of its many beautiful costal resorts. You may even wish to travel inland where you can find magical medieval villages scattered across the land, or travel up into the rugged mountains of the Sierra Nevada which boasts the most southerly ski resort in Europe. Spain has 4964 km of beautiful coastline, on the east coast you can enjoy the Mediterranean Costas including the CostaBrava, Costa Blanca and of course the famous Costa del Sol to the south. 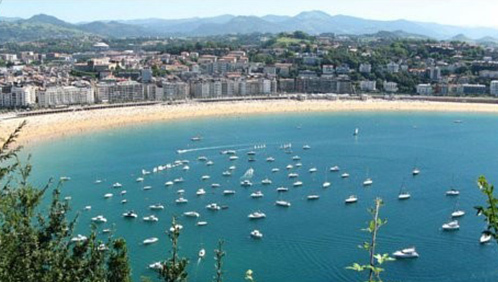 Whether you want a bustling vibrant holiday or to find a quiet undiscovered location, Spain can offer you everything. Spain enjoys a fabulous and diverse climate with the south enjoying over 320 days of sunshine a year and is famous for its warm dry summers and mild winters with temperatures quite often climbing over 20 degrees celcius even in the month of January. Then of course there is the remarkable Spanish food, you can experience the freshest fish at one of Spain’s quaint unspoilt fishing villages, indulge in paella or enjoy tantalising tapas with friends and family, whatever your taste buds desire Spain will be sure to delight.